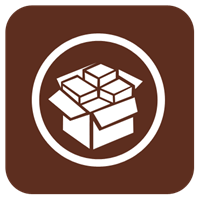 Cydia 1.1 Now Available! Much "Faster, Slimmer And Stable"
Saurik just announced through his twitter that the next major upgrade for the famous Jailbreak app store Cydia is now available. The new update is said to be much faster, slimmer and stable, it also includes major performance upgrades, bug fixes and a “resume where you left off” feature. @saurik: Cydia 1.1: faster, slimmer, and more stable; including an improved search algorithm and “resume where you left off”. Available in Cydia now!